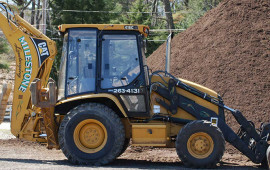 Milestone Excavating and Landscaping, LLC is a full-service company specializing in both residential and commercial projects since 1989. We pride ourselves on giving our customers the highest quality in workmanship, products, and customer service. 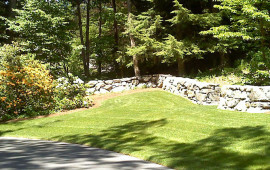 Our landscape and excavation services range from new-home installations to landscape renovation. 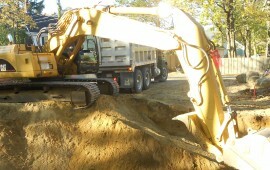 Need a new septic system? Want to create a new outdoor living space? 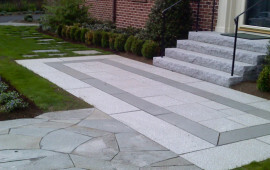 We’ll custom-design one using natural stone and selected plantings. We’ll make it happen. Dreaming of a whole new design for your landscape? We’ll work with you to create one that fits your budget and your lifestyle. What’s more, we can put up retaining walls, design attractive walkways and patios, re-contour your landscape and install drainage systems. Whether you are constructing new or renovating an existing property we are here to guide you and make your plans a reality. At Milestone Excavating and Landscaping, quality craftsmanship and customer service go hand-in-hand. Milestone offers materials that provide solutions in all seasons.